Saturday 3/30, high of 35 low of 22 with partly cloudy skies. Daily coordinator: Logan. Lee and Oren will hold a finance meeting after the weekly member meeting. Corrina and Danny will drive to Appleton and pick up Ed, bringing him back to RSO. Corrina, Monica, Oren, Ed, Kelly, Danny, and Logan will begin tarping and continue hoop house construction. Oren will complete his RSO Occasionally article. Logan and Kelly will identify new location for on-farm compost. Take out recently thawed hoses from the ground. Oren will take Ed back to Appleton. Sunday 3/31, high of 37 low of 22 with partly cloudy skies. Daily coordinator: Polly. Oren, Corrina, and Monica will head out late morning for a lumber run in the Ray. They will then head to RSO for continued clean up. Logan will check to make sure the gator is running, and will make a midnight fuel run for other equipment. Monday 4/1, high of 45 low of 29 and cloudy. Daily coordinator: Lee. Asher and Logan will continue to build the sleds for 2C3 hoop house. Lee will join in the afternoon, taking the truck to Daddio’s to service the belt. He will then join for continued construction, tarping, and cooler clean up at RSO. Lee will also buy colored tape and sharpies for tool organization. Tuesday 4/2, high of 52 low of 27 with partly cloudy skies. Daily coordinator: Danny. Danny, Asher, and Corrina will meet at the green house to coordinate rides to the farm. Kelly and Susanna will clean compost buckets. 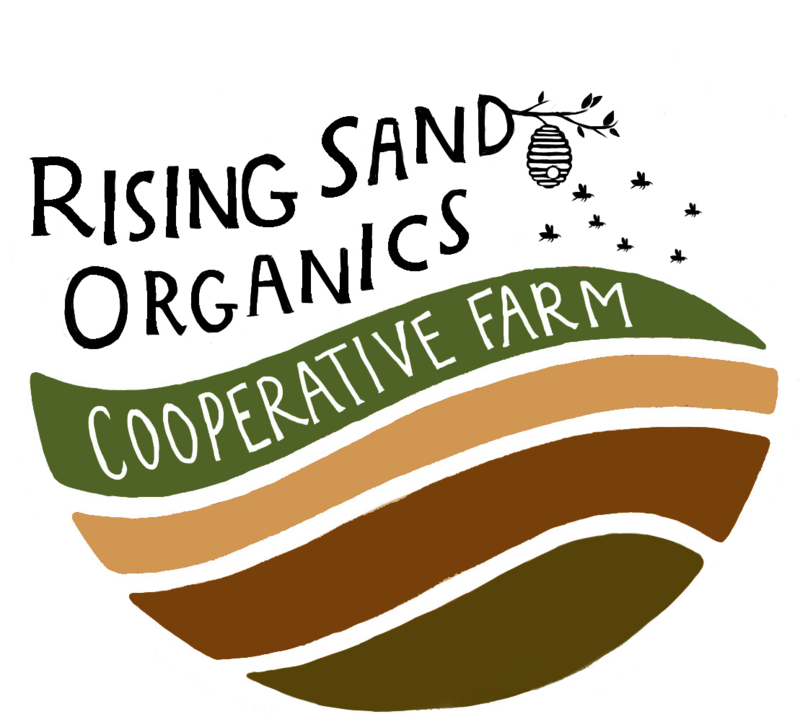 Kelly will join the others at RSO, and will raise another hoop house. They will also tarp more plots for occultation. Marketing meeting at 6:30 PM. Wednesday 4/3, high of 47 low of 25 and cloudy. Daily coordinator: Danny. Danny, Logan, and Asher will meet at the Farmshed greenhouse for lettuce, cabbage, kohlrabi, and green onion seeding. In the afternoon Asher and Danny will pick up hoop house parts from the cider house and continue hoop house construction at RSO. Thursday 4/4, high of 41 low of 25 with rain and snow showers. Daily coordinator: Oren. Kelly and Susanna will complete the compost route in the morning. Oren, Danny, Corrina, and Asher will meet at the green house to coordinate rides to RSO. The group will begin soil work with the BCS as well as bed prep. In the afternoon there will be continued hoop house construction. The crew will also rake straw off the garlic for the spring. Friday 4/5, high of 52 low of 32 with partial clouds. Daily coordinator: Oren. 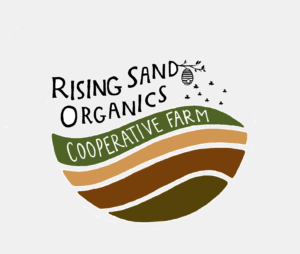 Oren, Logan, Danny, and Polly will continue soil work, hoop house construction, and begin massive clean up at RSO including: completion of cooler clean up, organization and cleaning of wash/pack shed, workshop, organization of tools and clean up of the granary, and cleaning the yard. Saturday 4/6, high of 59 low of 38 with partly cloudy skies. Daily coordinator: Logan. Weekly meeting at 8:30 AM followed by compost meeting. Seed eggplant and hot peppers, then the group will head out to RSO to plant peas in 2A3. Danny will attend Stevens Point Market meeting. Oren will buy a fan for the green house. Kelly will coordinate tool sharpening, collaborating with Asher. Asher will tighten the chicken wire on the tables at the green house, as well as make handles for the broadforks, two hay forks, and the red rake. Seed compromised red clover at RSO. Design and build new endwalls for the hoop houses. De-hardware the old hoop house sleds.